I am interested in your project & please let me have complete details about your projects on the mentioned contact details. SMR Vinay SkyCity is all about comfort and good living. 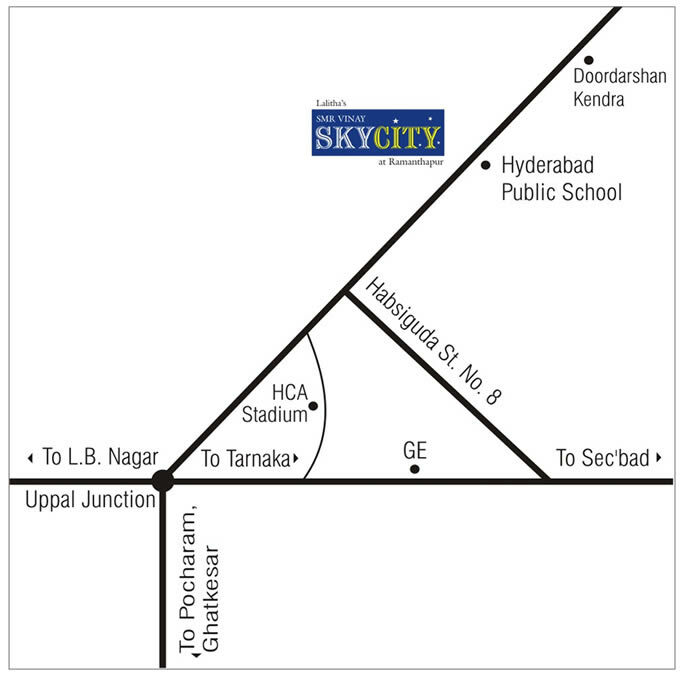 Located opposite Hyderabad Public School (HPS), SMR Vinay SkyCity has 2 and 3 BHK apartments with the best of modern amenities. The Vaastu compliant spaces radiate good cheer. An apartment in SMR Vinay SkyCity will give you a lifetime of happiness. © GSRK Estates. All rights reserved.